Lawmakers on both sides of the aisle during a House Veterans' Affairs Committee hearing to mark the one-year anniversary of the passage of the VA Accountability and Whistleblower Protection Act expressed concern that VA was circumventing congressional intent in implementing the law. Democrats on the panel repeatedly drew attention to the disproportionate impact the disciplinary cases since President Trump signed the measure into law have had on lower-ranked employees, while Republicans questioned whether whistleblowers were truly being protected. 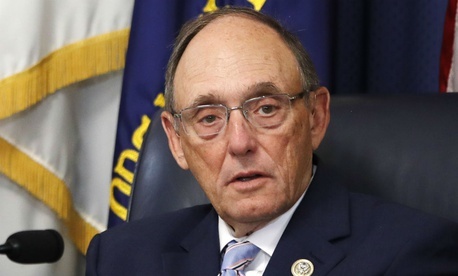 Rep. Phil Roe, R-Tenn., the committee’s chairman, suggested VA was pushing to expand the power of the newly formed Office of Accountability and Whistleblower Protection beyond what Congress had envisioned. Peter O’Rourke, VA’s acting secretary who testified at the hearing, served as the office’s first executive director. Committee members criticized O’Rourke for OAWP’s failure to clearly document its policies in writing and train its employees on their new rights and responsibilities. VA officials said the department has trained 2,000 human resources officials and attorneys on the accountability law, but acknowledged their work was unfinished. ‘We’ve done a lot in that area but we need to do more,” O’Rourke said. Rep. Mark Takano, D-Calif., pushed O’Rourke to answer why VA removed only 15 employees in supervisory positions this year compared to hundreds of housekeeping aides and food service workers. VA has repeatedly faced questions from lawmakers in both parties about its disproportionate focus on low-grade employees. O’Rourke dismissed the criticisms, saying those workers were hourly employees and the nature of their jobs led to high turnover rates. He also said the firing rate has not changed significantly from before the law was in effect until now. The acting secretary elaborated on the issue after the hearing, explaining he expected the implementation Congress envisioned to take time and eventually trickle down from the top. While he acknowledged some confusion and inefficiencies, O’Rourke said VA is working toward ensuring a consistent approach throughout its regional office and network of facilities. Eventually, he said, performance and accountability will improve throughout the department. J. David Cox, president of the American Federation of Government Employees, which represents about 230,000 VA workers, testified at the hearing that the accountability measure was the “most counterproductive VA law ever enacted.” He railed against the firings of housekeeping aides, noting that nearly all of them are veterans whose rights should be protected. The dismissals of lower-ranked employees was not a consequence of their work, he argued, but an “intentional targeting” of rank-and-file staff. The appearance of constraining due process rights has deeply impacted morale at the department, he said. Cox was on the defensive when Republican lawmakers denounced the practice of official time at VA, which allows employees to conduct representational activity on behalf of union members while on the clock in federal offices. O’Rourke said an executive order Trump recently signed, which caps the amount of time employees can spend on official time at 25 percent, would enable him to shift the 472 employees on full-time official time—some of whom are doctors— back to their normal responsibilities. AFGE and other federal unions are currently challenging that order in court. VA officials faced additional questions about the department's implementation of the law, including the removal of the mandate to issue performance improvement plans for employees facing first-time issues and the movement of senior career officials. He defended those changes as “very well planned” steps to increase efficiency. He dismissed accusations that whistleblowers were not being adequately protected by noting VA has established procedures for delaying disciplinary actions in cases of potential retaliation until the department could investigate, while also explaining that many alleged whistleblower cases in reality turned out to be miscommunications. Committee members expressed some optimism with the changes VA has implemented, but pushed the department to do better. “Obviously, there’s a lot of work to be done,” Roe said. Takano said there were several elements of the implementation he still found troubling.